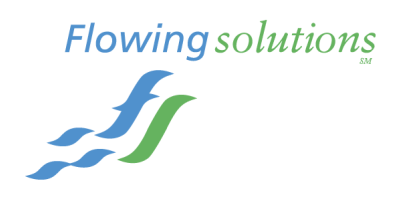 With over 20 years of focused waterfront development and permitting experience, Andrew Jansky at Flowing Solutions can provide highly specialized expertise and guidance to owners engaged in complex design projects. Regularly working as an advisor directly to owners, Andrew fills a focused and unduplicated niche in Portland and Vancouver with unique skills bridging multiple disciplines from planning and permitting, to design and then through construction. With a combined degree in Ocean Engineering and Civil Engineering, as well as indepth familiarity with the complex Columbia and Willamete River systems, his expertise is recognized as the prominent expert for Columbia and Willamete River related projects. Large projects typically include design teams with many specialty sub-consultants. These sub-consultants work for their prime consultant, who works for the owner. In many cases, key decisions are made by sub-consultants which may directly impact schedule and cost, without the consultant or the owner knowing the full implications. Having personally completed all stages of complex waterfront planning, permitting and technical engineering design, Andrew has a unique understanding of all of the issues and possible areas of concern or problems. Recognizing how large design teams function and having this expertise, allows for focused guidance, backed up by past examples, photos, designs and creative problem solving. As in-water regulatory permitting can be challenging, an owner advocate and expert is critical to establish a successful strategy and understanding of the real issues. Generally problems are not with the technical issues or team expertise, but more likely with the lack of ability to listen. For example in our experience trying to ‘out science’ the regulatory experts, who are scientists themselves, is not typically effective, expeditious or economical. Creative problem solving and a unique way of approaching issues allow extreme value to be achieved.